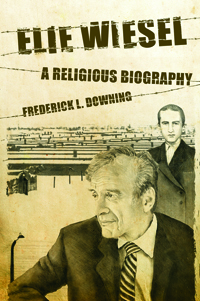 Elie Wiesel: A Religious Biography argues that Wiesel’s religious faith is the driving force behind Wiesel’s status as a moral authority—that he is essentially a generative religious personality, a poet-prophet—who deepened his own particular Jewish vision to eventually become a “link” with humanity. In time, he begins to identify with the oppressed the world over in a stance of universalizing faith. As a religious genius and spiritual innovator of the post-modern era, Wiesel is a conflicted individual who joins his own personal and existential struggle for meaning and identity with the quest of the oppressed after the Holocaust. Through a social-scientific methodology similar to that of Erikson and Fowler, one sees Wiesel as a genuine “homo religiosus” in quest of a universalizing perspective. Likewise through the work of Walter Brueggemann on the “poet-prophet,” Wiesel’s literary code is described as that of Jeremiah: “shattering,” “evoking,” and “enacting.” Indeed, Wiesel has followed the code of Jeremiah ben Hilkiah. Wiesel’s early writing “shattered” the Western conception of normalcy. His work “evoked” a world that a later generation could not imagine, yet he eventually began to “evoke” a new way of being religious in the post-modern world. The final aspect of his “poetics” is his praxis orientation of “enacting”—the living out of his faith—that has pushed him to travel to the jungles and ghettoes of the world to identify with the oppressed the world over. An encounter with Wiesel presents the possibility that the world has now become Jewish, in Wiesel’s terms, now solidarity must be extended to oppressed persons everywhere.